Although you might feel like you're doing something wrong every time you log into Netflix and it asks "Who's browsing?" and you have to choose between "Dad" and his love of broadway musicals, "Mom" and her Hong Kong action flick obsession, and yourself, in fact, Netflix's CEO wants to put you at ease. He says sharing an account is totally chill. Now, this quote that all of social media is going crazy about could be taken out of context. 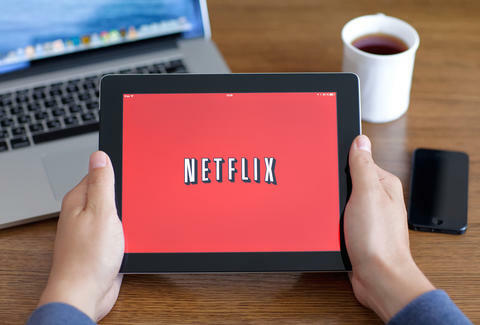 Netflix CEO Reed Hastings didn't say he was referring to the mass password sharing that often goes on with Netflix users, which Netflix tries to curb with its current quotas on number of screens. According to CNET, the CEO's exact words at CES were as follows, "We love people sharing Netflix. That's a positive thing, not a negative thing." He didn't really go into specifics, however. It seems like Hastings was referring only to sharing among family members, as reports say he also mentioned that "household sharing leads to new customers." The idea being that parents share Netflix with their kids, and then the Netflix-consuming birds leave the nest and take on a Netflix account of their own. It's the Netflix circle of life, only kinda weird, because it makes you consider your parents chewing up movies and spitting them back at you for sustenance. Let's just skip that analogy and focus on sharing that screen. Come on. It's fun. Kara King is a News Writer at Thrillist and shared her snack pack once. Send news tips to news@thrillist.com and follow her at @karatillie.